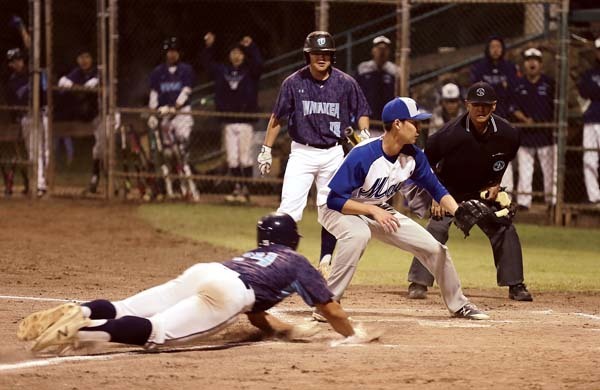 WAILUKU — The state championship rematch didn’t go well for the Maui High School baseball team Friday night at Maehara Stadium. 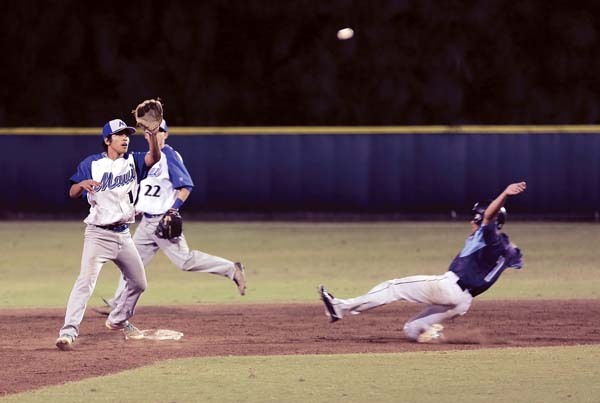 Waiakea beat the defending state champion 5-0 in the 43rd annual Maui High School Invitational Baseball Tournament. 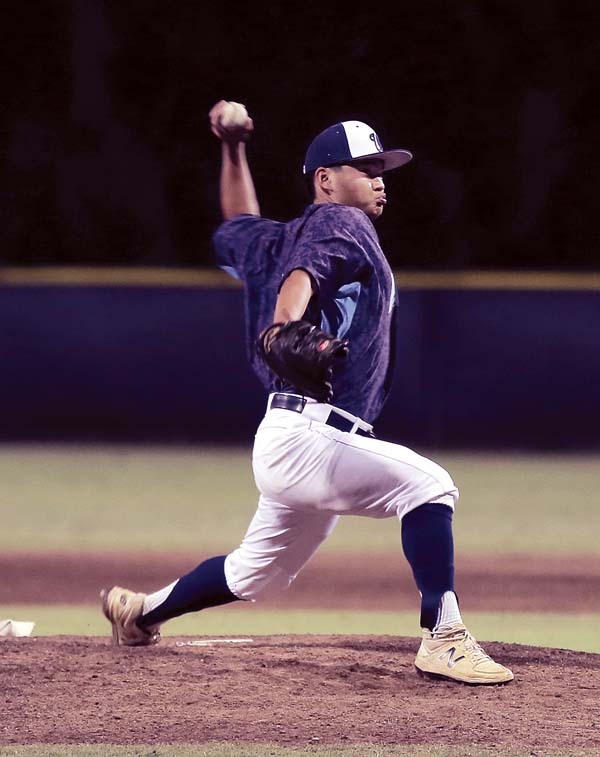 The Warriors rode a one-hit, complete-game pitching performance by senior left-hander David Nakamura to the victory. He struck out nine and walked none. Jyrah Lalim smacked a line-drive single to left leading off the bottom of the seventh for the Sabers’ lone hit of the game. 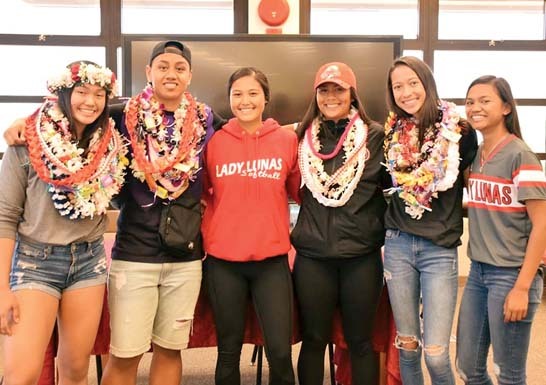 “He wants to take the staff, he’s a senior and they’re confident behind him,” Inouye said. First-year Maui High coach Leonard Barcoma Jr. declined to comment after the game. The Sabers’ first two batters of the game — Kolten Texeira and Kainalu Tancayo — both reached on errors, but Nakamura recovered to retire the next three batters on two popups and a strikeout to get out of the jam. That started a string of 18 straight outs for Nakamura. He allowed just three baserunners in the game. The Warriors jumped out to a 4-0 lead in the top of the second inning. Kalai Rosario led off with a single to center field off Sabers starter Mikito Barkman and eventually scored on a wild pitch. Khaden Victorino walked and scored on a single by Nakamura, who scored on a single by Devin Midel. 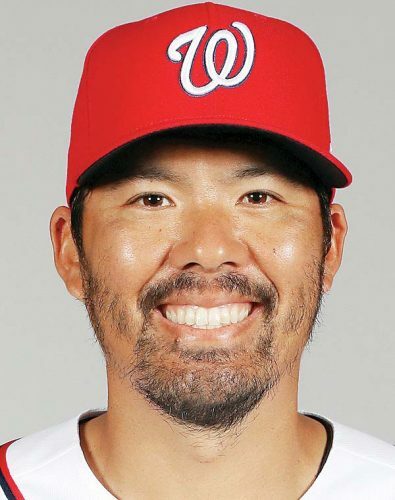 Cody Kunimitsu walked and singled on a sacrifice fly by Casey Yamauchi. Barkman — last season’s state tournament Most Outstanding Player after winning two games on the mound, including the state final 6-1 over the Warriors — uncorked three wild pitches and walked two in the inning. He lasted three innings, giving way to Haoa Jarnesky to start the fourth. The Sabers’ defense was stellar for most of the night, committing just one error. Nakamura doubled but was caught off third base by shortstop Lalim for the second out of the fourth inning. Midel was the final out of the fourth when Sabers right fielder Texeira threw him out at third base on a single by Yamauchi. Lalim leaped high to snag a would-be gapper by Nakamura to end the sixth inning. Jarnesky allowed two hits, struck out one and walked none in three scoreless innings. David Nakamura and Casey Yamauchi; Mikito Barkman, Haoa Jarnesky (4), Jyrah Lalim (7) and Micah Balmores. W–Nakamura. L–Barkman. 2B–Waiakea: Nakamura. Tristan Catan, Konner Palmeira (4) and Ross Panlasigui; Kalani Marquez, Ty Atkins (6), Justice Ishii (6) and Bryce Furuli, Dallas Duarte (4). W–Marquez. L–Catan. 2B–KSH: Dan Ahuna, Marquez. Leading hitters–KSH: Ahuna 3-4, run, RBI; Duarte 2-4, run; Dustin Asuncion 2-4, 2 RBIs; Kyran Kai 2-4, run; Kekona Naipo-Arsiga 2-4, run; Marquez 2-3, run, RBI. Graydon Tanaka, Iokepa Supent (5), Micah Kele (6) and Elijah Uwekoolani; Trey Deponte, Joe Canosa (4), Jake Nakamoto (5), Jacob Filio (7) and Dan Soranaka. W–Tanaka. L–Deponte. Leading hitters–KSM: Isaiah Daurte 2-2, 2 runs. Aiea: Teron Kitashma 2-3, 2 RBIs; Logan Ho 2-4, 2 run. Bubba Hoopii-Tuionetoa. Roy Meinen (5) and Cade Kalehuawehe; Kody Miyamoto, Michael Morgia (4), Micah Neves (7) and Leo Swartman. 2B–Baldwin: Kalehuawehe, Kaipo Haole; Maryknoll: Noah Kinder. Leading hitters–Baldwin: Kalehuawehe 2-4, run, RBI; Haole 3-3, run, RBI. Maryknoll: Kinder 2-3, run, RBI; Tyler Quinn 2-3. Colby Narciso, Ethan Bautista (5) and Jake Nakamoto. Zakaia Michaels, Kyran Kai (7) and Dallas Duarte. W-Michaels. 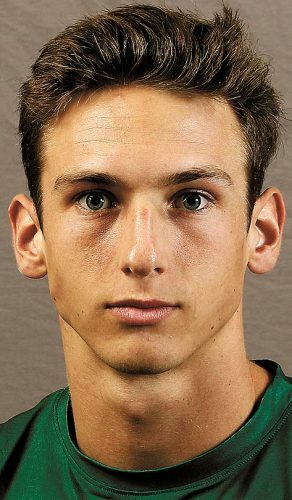 L–Bautista. Leading hitters–KSH: Dustin Asuncion 2-3, run, 2B.